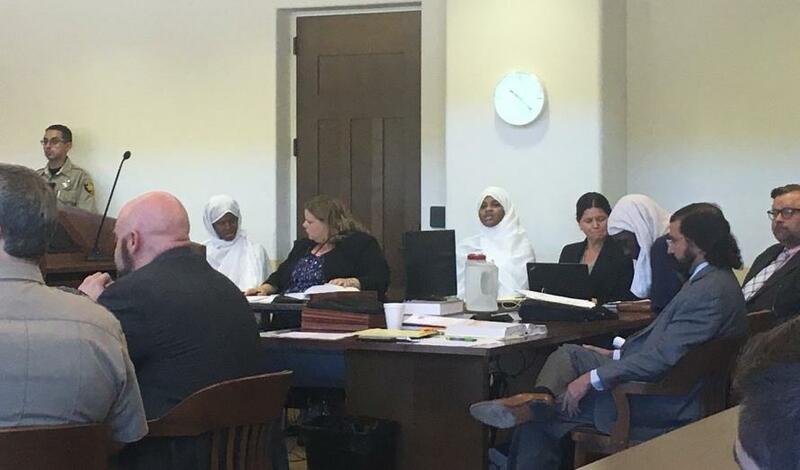 Thanks to an error by the Taos, New Mexico District Attorney's office, 11 counts of felony child abuse charges against three of the five suspects who ran a New Mexico "Jihadi" compound where a dead child was found were dropped on Wednesday. After Judge Sarah Backus recused herself from the case, District Judge Emilio Chavez was forced to drop the charges against Lucas Morton, Subhanna Wahhaj and Hujrah Wahhaj after the state failed to indict them within a 10-day window, forcing the frustrated judge to admonish the DA for placing him in such a position. "The rule for dismissal without prejudice reads if the preliminary hearing is not held within the time of this rule, the court shall dismiss the case without prejudice and discharge the defendants," Judge Emilio Chavez said. Meanwhile, the DA didn't even show up for the hearing. Another Taos County judge called out the DA for failing to even schedule a preliminary hearing in the case. "There was no excuse and no reason why the District Attorney's office could not have requested these preliminary hearings. I don't know if they are overworked or they don't have enough people at their office. I don't see the district attorney here or the chief deputy district attorney, but it is disturbing to me that the district attorney would put this court in that kind of a situation," said Judge Jeff McCelroy. He added that the case was "a situation where the court is being caught between very public, very shocking information and a complete failure to follow proper procedures in prosecuting the case." While the original 11 counts were dropped, new child abuse charges were filed agains defendants Jany Leveille and Siraj Wahhaj - the son of a famous New York Imam, in connection with the death of 3-yaer-old Abdul-Ghani Wahhaj, according to Siraj Wahhaj's attorney, Thomas Clark. The two will remain in jail until next week, when prosecutors will argue they should stay behind bars until trial, at which point the DA's office can refile the child abuse charges against all five suspects for neglect of the eleven surviving children. Police raided the compound on August 3 in search of Abdul-Ghani after his mother in Georgia said he had been kidnapped and missing for over eight months. Siraj Wahhaj and Jany Leveille will remain behind bars on new child abuse resulting in death charges until no bond hearing on Sept. 4.